Writing the date for the heading of this post I can’t quite believe it, very nearly February already… I think it’s age, time is flying so much faster these days. I seem to be growing quickly into my workshop and it has a really good feeling about it; I feel happy there, at home, and productive. I have been working on my glazes. Last year, I had three different glaze bodies for my three different colours. For a number of reasons, including the overall consistency of the range, I have decided to develop my colours out of the same base glaze – and I have chosen the blue/grey one. 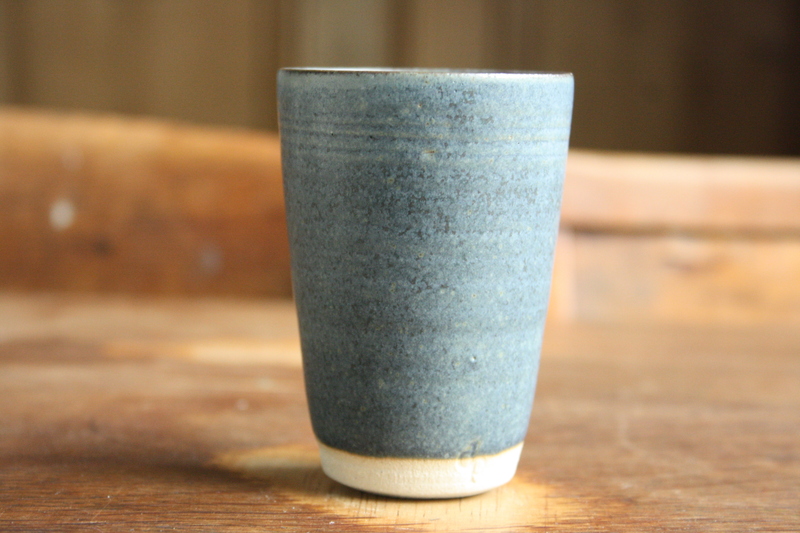 The reasons for choosing this one are that it gives a lovely satin smooth surface that is perfect for tableware, it fires very reliably (so important), and the glaze from it has been popular. It is a simple and common recipe: Potash Feldspar 40, Whiting 20, China Clay 25, Flint 15. The oxide percentages that I added to get this blue are: 1% Nickel Oxide, 3% Cobalt Carbonate and 1% Copper Oxide Black. 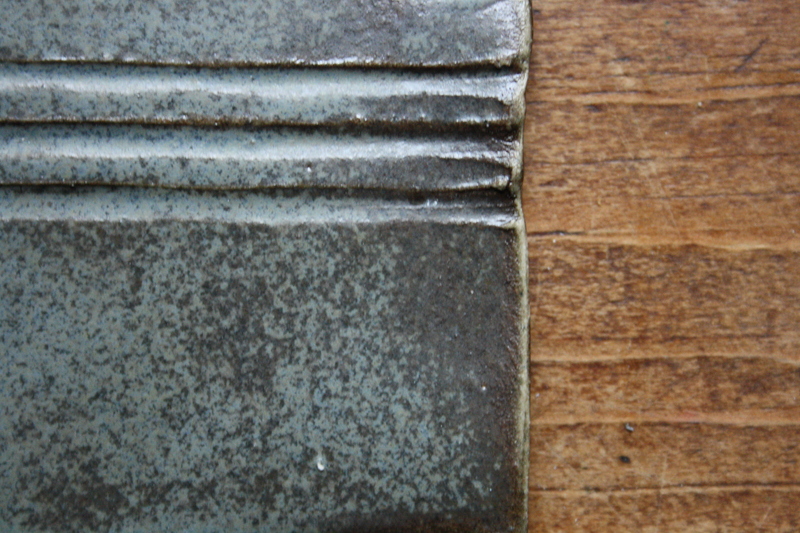 I have been doing some tests with other oxide combinations and have found two others that I like very much. The white has 1% Red Iron Oxide and 10% Rutile added; the green, 3% Copper Oxide Black. I love them both and will mix up enough of each to see if they fulfill their promise on a pot. I am also trying to make a black. There’s too much grey here, so I am going to try a few variations. Currently, it has the addition of 2% Nickel Oxide, 2% Cobalt Carbonate and 2% Red Iron Oxide. I am going to increase the proportion of Nickel and Red Iron Oxide in various permutations. I have found that reducing the cobalt doesn’t help, as it needs the cobalt to preserve the black. 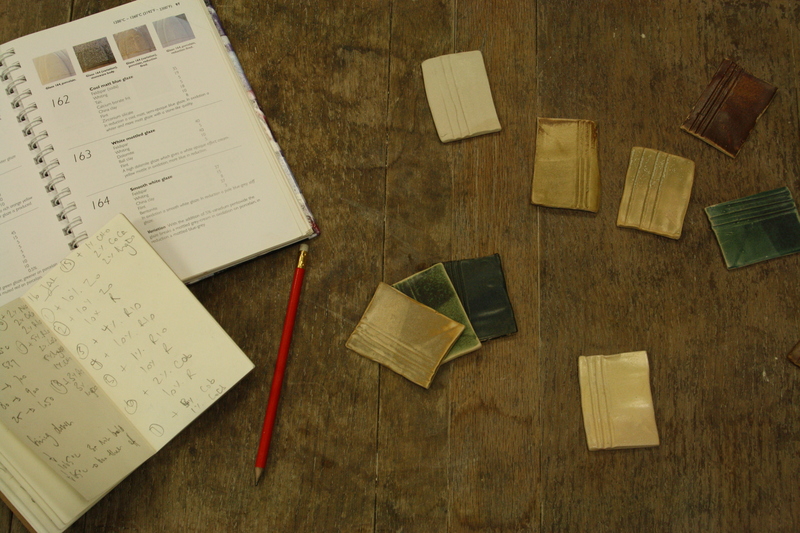 Developing the colours of my range is incredibly exciting and I’m really looking forward to seeing the glazed pots. Another reason for developing the new glazes is that I had some issues with one particular glaze towards the end of last year, with the most likely reason for the problem being varying temperatures within the kiln. So, in the last firing I decided to use Orton cones to see if I could discover what was happening. This was the result. The nearest shelf was at the bottom and the furthest was the top – they are cones 8, 9 and 10. 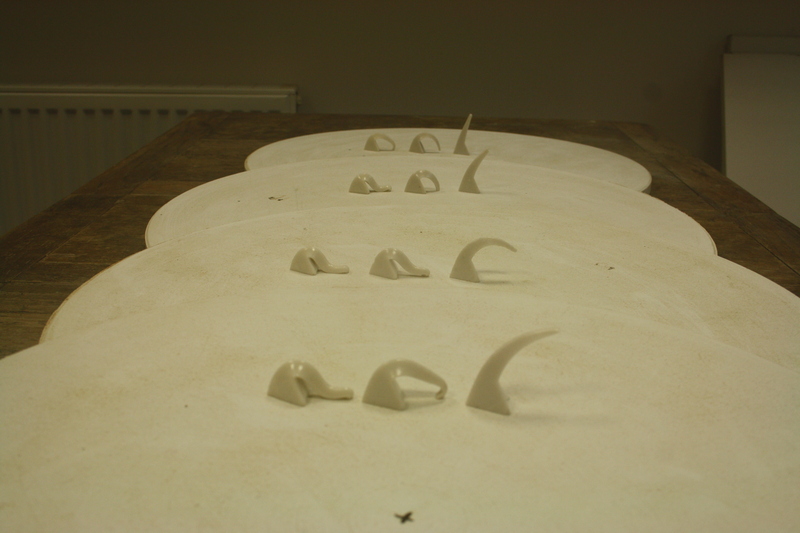 The hottest part of the kiln is one shelf up from the bottom where cone 9 is right down and 10 is bent quite far over. The top shelf is the coolest with cone 8 touching the shelf and cone 9 not. I set the controller to fire the kiln to 1260 degrees C with a 45 minute soak. So, going by the cones, the top of the kiln isn’t quite making it to 1260 degrees C (cone 9), even taking into consideration the soak, the bottom and next to top shelves are pretty much on cone 9, and the one up from the bottom is half way to cone 10. There’s probably a 20 degree difference across the kiln after having a 45 minute soak. So, it seems taken as an average the kiln is firing to approximately cone 9. 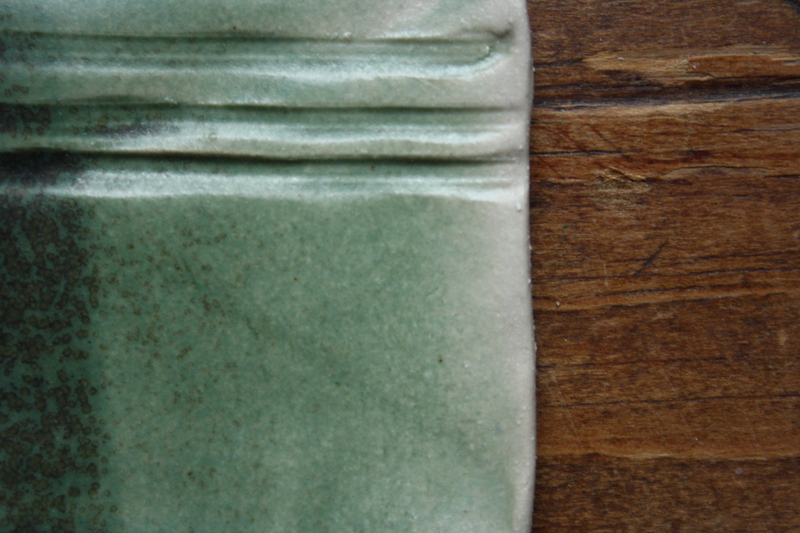 If you need reliability in your glaze having a wide-firing one can be quite important. Nice post – interesting, informative, well laid out, just what blogging should be. I like your post and thank your for sharing the glaze recipes. I was wondering the three clay bodies were mentioned in your post. Will you please share them as well? I usually use porcelain or Laguna B-mix. Thanks. Thanks for the question. I was using three different base glazes rather than three clay bodies. I did use two clay bodies, though, last year, as well. They were both made by Valentine Clays: one B17C, the other E/S 5. I have now settled on E/S 5 and I am really happy with it. It throws beautifully and I like its colour, white, after firing. Thanks for the information and the glaze. It seems like your uneven kiln temperature is a common problem these days for kilns fired with a controller. I miss the good old days of manual firings and cones. The results were much more predictable. Hello, thanks for all the info. Sorry if this was already mentioned, but are the glaze recipes high fire/cone 10? Reduction or oxidation? Thanks in advance. Hi Grace. The glazes are around cone 7 or 8 – 1240C with a soak for an hour and ten minutes, in oxidation. Best wishes..
Hello, is there any posibility to reformular this glaze recipe into a Cone 6 formula? Hi Gabriel. If I’m honest, I really don’t know – I haven’t spent much time with cone 6 glazes… Sorry! Hi, what a lovely ble/grey glaze. But I was just wondering, is it safe to use oxides in glazes for tableware? I heard that it is not foodsafe to use nickel oxide, cobalt carbonate or copper oxide in the glaze. Do you know if this is true? 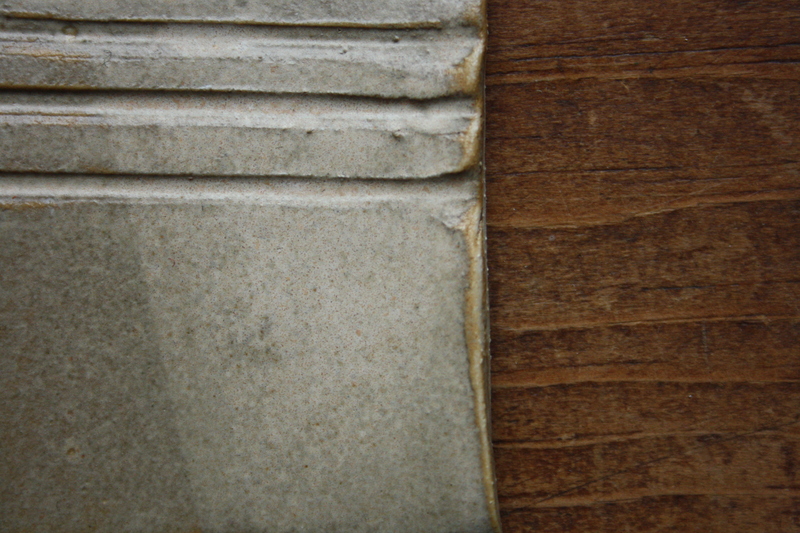 depends on what temperature you are firing to and the total composition of the glaze (other components.) you are asking a very broad question. You are currently reading 28.01.13 at The Hopeful Potter.